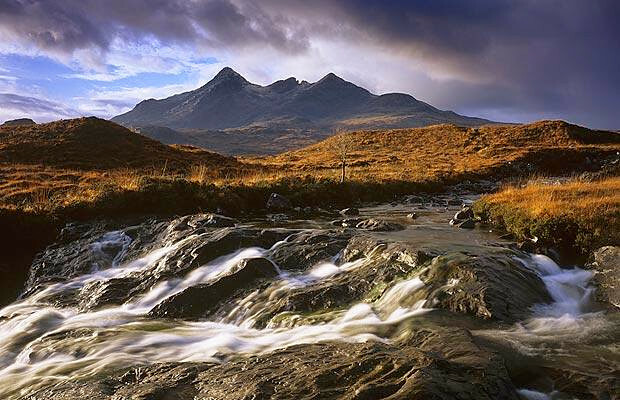 Starting from Edinburgh or Glasgow, visit some of Scotland's most iconic sights and landscapes over 7 days. Tour includes accommodation. 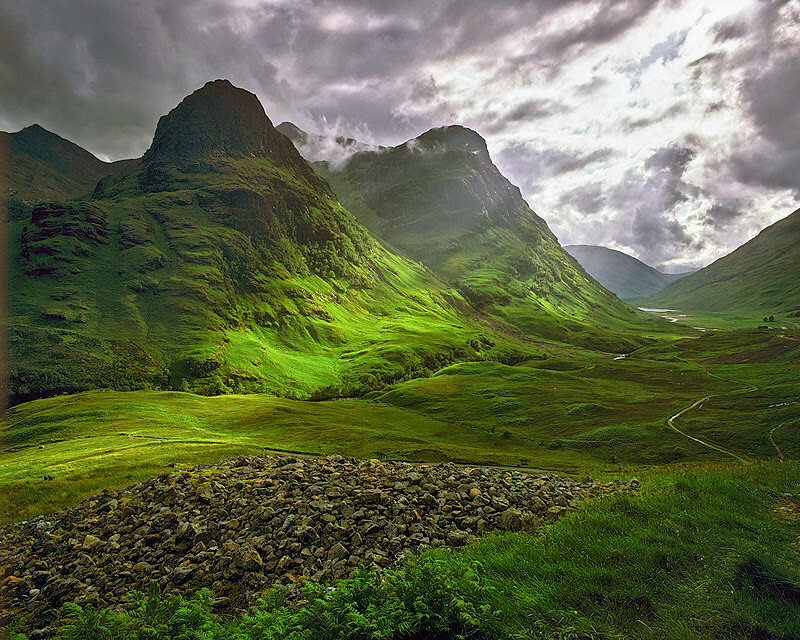 One of Scotland's most striking mountain ranges and site for the Campbell Massacre. We will drive along the road. 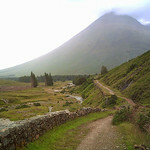 Britains highest mountain with an ascent from sea level. Wow: what a site from the road! Blair Atholl which we pass on our way south: the Duke is the only person in UK to be allowed a private army (apart from the Queen). They still muster once a year. 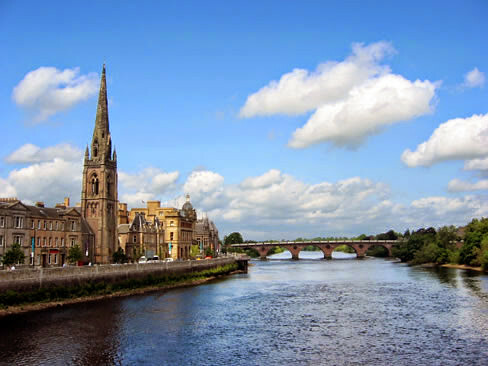 From Edinburgh we travel westwards across Scotland to reach Glasgow, Scotland’s most populous city. Turning North we enter the Loch Lomond and Trossachs National Park, a natural wonder that is just waiting to be discovered. 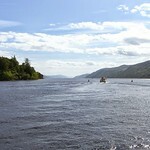 The "bonnie, bonnie banks" of Loch Lomond is a real highlight. This is Britain's largest lake and also one of Scotland's loveliest. It has 30 islands, including one inhabited by a colony of wallabies! 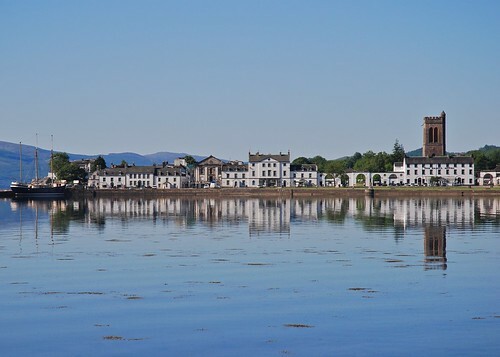 The 3rd Duke of Argyll built the "new" town of Inveraray at the head of Loch Fyne. The town sits in the shadow of his castle and, as we will discover, this pleasant town retains much of its 18th Century charm. From Lochgilphead we enter Kilmartin Glen. This mysterious Glen is one of the most concentrated areas of prehistoric sites in Scotland including a linear cemetery – a line of burial cairns that stretch for over 2 miles. Nearby is Dunadd, a hill fort that dates from the Iron Age. Dunadd was the capital of the ancient Kingdom of Dalriada so this part of Argyll has played an important part in the creation of modern Scotland! 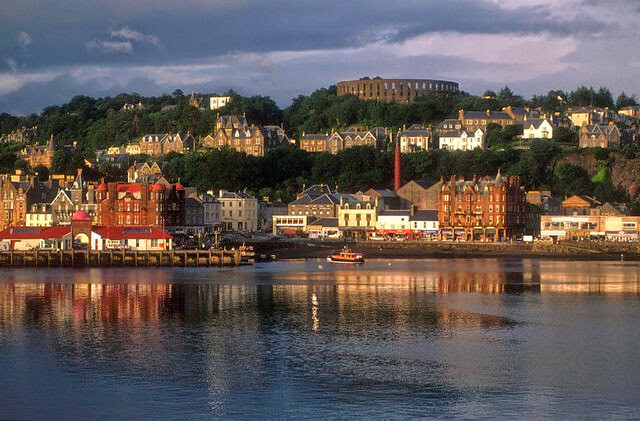 After a little more motoring we arrive in the bustling, beautiful port of Oban, our stop for tonight. 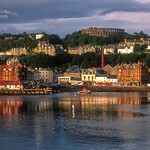 Oban is the gateway to the isles so why not take a pre-dinner stroll and admire the views over the busy working harbour. 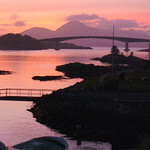 We bid farewell to Oban and make our way to the Connel Bridge. As we cross Loch Etive look out for the Falls of Lora below. Glen Coe is arguably Scotland's most famous Glen/valley partly because of its solitary, glowering beauty and because of the infamous massacre that took place here in 1692. The sad tale will be told as we make a short diversion to explore this special place for ourselves. 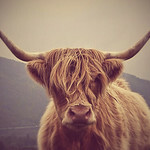 The story explains why members of the Campbell and Macdonald clans always look a little askance at each other. 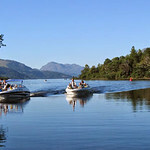 Fort William's glorious setting on the banks of Loch Linnhe has made it a popular tourist destination since the arrival of the steamships in the mid-1900's which made this a popular and accessible tourist destination from Glasgow. The town sits in the shadow of Ben Nevis, which, at 4,406 feet, is the tallest mountain in the UK. 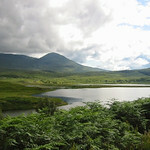 If the weather is kind to us we should hopefully get a good view of "The Ben" as we leave the town. After breakfast we board our coach for a wonderful day of exploration of this fabled isle. 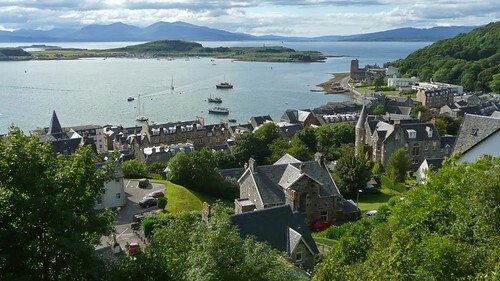 From the little villages and gentle scenery of the southern part of the island the views will change dramatically as the Cuillin Hills come into view. 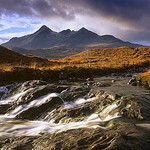 Considered by many to be amongst the finest hills in Britain the Cuillins present a vista that is simply unforgettable. A broch is a type of fortification that only exists in Scotland and date from around 2,300 year ago. 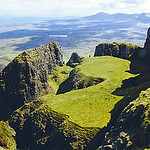 Today we’ll visit Dun Beag which sits on top of a rocky knoll. With walls that are 4 metres thick this broch offered protection to Iron-Age farmers from what kind of threat we can only just guess at. 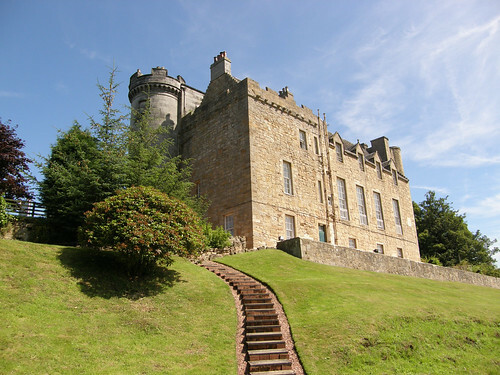 Our next stop is to Dunvegan Castle*, the ancestral home of the Clan Macleod. 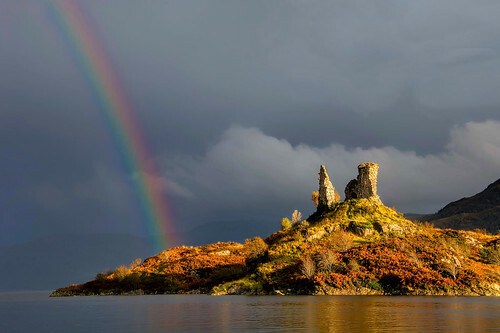 There has been a castle on this site since the 13th Century and its treasures include the Fairy Flag, said to bring good luck to the clan in times of trouble. 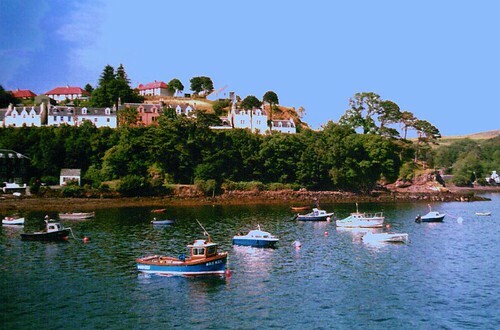 Set round its natural harbour the picturesque town of Portree is the island's largest community. The name of the town means the "King's Port" following a visit by King James V in 1540. Today, the pretty painted houses which surround the harbour give Portree an old fashioned appeal. During our stop there will be time to explore the town and browse the shops that surround Somerled Square. The fishing village of Elgol lies at the end of a spectacular route through the heart of the Red Cuillin Hills. On our visit to Elgol you’ll have the chance to take a wildlife spotting cruise * and enjoy stunning views of the high peaks of the Black Cuillins. We’ll leave Skye and head acroos the Kyle of Lochalsh straight to Scotland’s most photographed castle, Eilean Donan* which you’ll have ample time to explore. We’ll continue further north through Glen Carron and past Loch Carron towards Achnasheen. 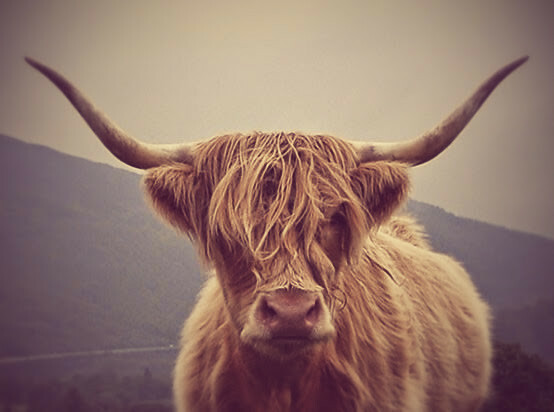 You’ll also experience the dramatic Glen Docherty which looks down towards Loch Maree, once visited by Queen Victoria and home to its very own "Nessie" known as Muc-sheilche. Our lunch stop will be at Inverewe Garden*, well-known for its sub-tropical plants. 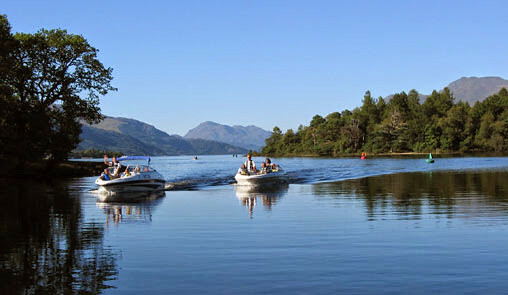 You’ll also get to take in the incredible Gruinard Bay and the breath-taking Corrieshalloch Gorge and Rogie Falls, then on to your overnight stop by Loch Ness, where you can take an evening boat cruise (optional). Today sees an early start, crossing through the Black Isle, and past the famous American industrialist, Andrew Carnegie's Skibo Castle. 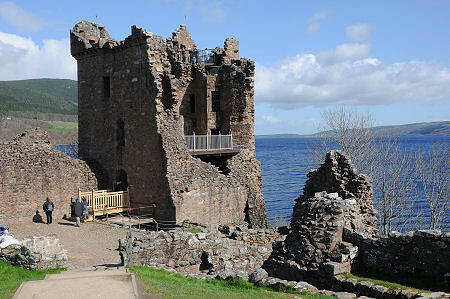 From here we drive along the northeast Highland coastline, travelling through some of Scotland's most dramatic scenery. These are some of Europe's oldest landscapes and here we have another chance to see wildlife such as Golden Eagles and red deer. 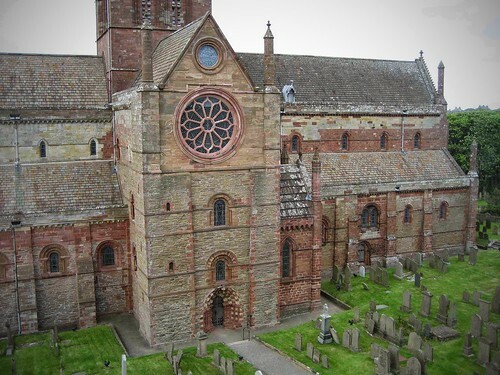 The Viking stronghold of Kirkwall, is our home for the next 2 nights. Orkney is home to many outstanding historic treasures and today will be a unique day of discovery. On our itinerary today are visits to Maeshowe *, a magnificent tomb built almost 5,000 years ago and the Ring of Brodgar, a stone circle that once comprised of 60 megaliths. Today with 27 stones still standing, some over 5 metres tall, it takes little imagination to visualise the extent of this historic monument. Uncovered by a storm in 1850 Skara Brae * is one of the best preserved groups of Stone Age houses in Western Europe and our visit will reveal the stone furniture, hearths and drains that present such a remarkable picture of Neolithic life. It’s an early start as we board the ferry and bid a farewell to the Orkney’s. 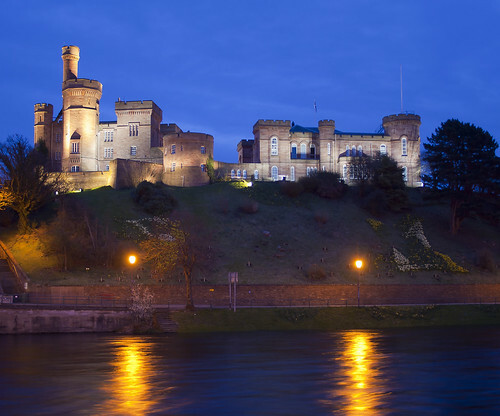 There’s time to explore Inverness, the Capital of the Highlands before travelling the short distance to visit tragic Culloden Moor *. 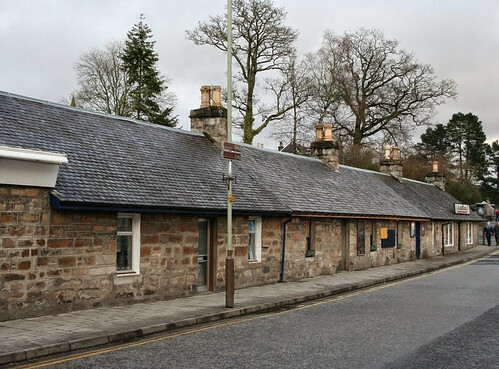 It was here that the Jacobite army of Bonnie Prince Charlie was routed by Government troops in a bloody battle in 1746. 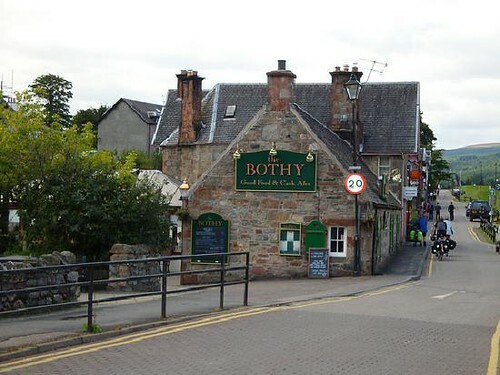 The dramatic scenery of Highland Perthshire gives way to rolling farmland as we reach the "Fair City” of Perth then we join the motorway for our journey through the ancient Kingdom of Fife. The final part of our drive offers wonderful views of the Forth Rail Bridge as we make our way into Edinburgh. Cancellation Policy: For cancellations more than 30 days prior to departure date - 90% refund. 30 to 15 days - 50% of tour cost will be refunded. 14 days or less - no refund. Full payment is required at the time of booking. We strongly recommend that you take out appropriate travel insurance to cover any need to cancel. Customers must provide a valid credit card number. Limited availability : advanced booking required. Any booking is subject to our Booking Terms. Click on the "Book Now" button to make your reservation. Enter your dates and requirements and complete the booking. 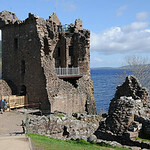 Scottish Tours will confirm availability to you immediately or very soon thereafter. Rest assured no payment will be taken if they cannot confirm the booking to you. Full tour operator information including local contact telephone numbers and departure details will appear on your tour voucher/confirmation. 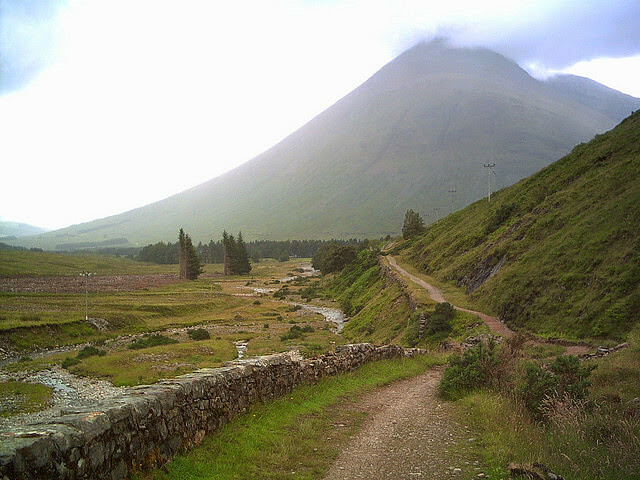 Fort William is the gateway to the Western Highlands and one of the country's main tourist centres. 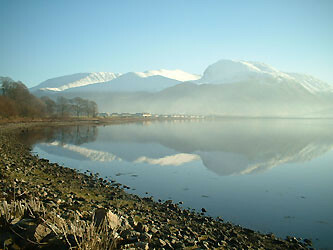 It stands at the head of Loch Linnhe, with the snow-topped mass of Ben Nevis towering behind. 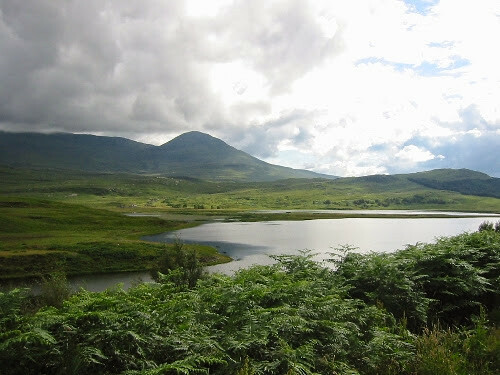 Kyleakin is a village situated on the east coast of the Isle of Skye in the Inner Hebrides, Scotland. 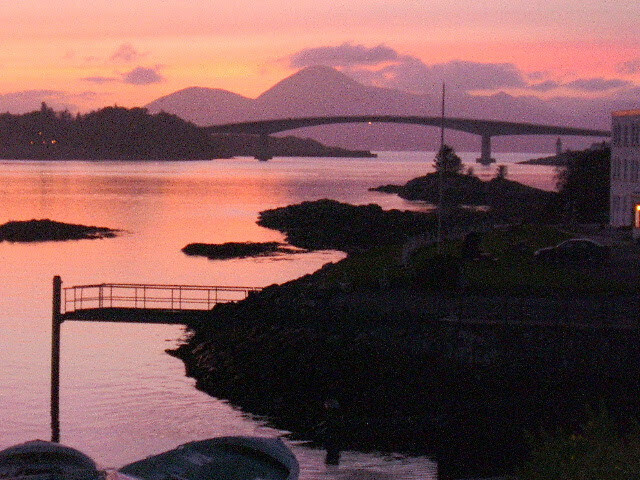 The village is along the strait of Kyle Akin opposite the northwest Scottish mainland town of Kyle of Lochalsh. 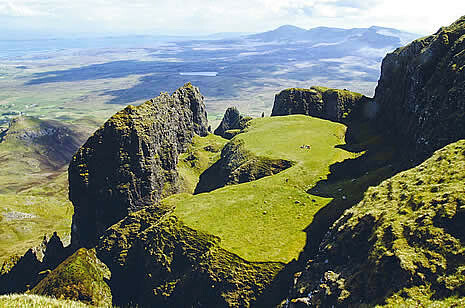 Skye's largest town and a charmingly friendly stop-off popular with all visitors. 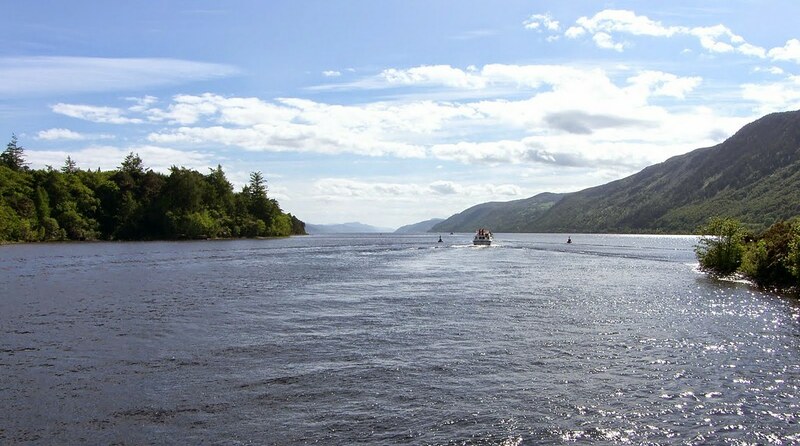 At the more scenic southern end of Loch Ness stands the village of Fort Augustus, originally set up as a garrison after the Jacobite rebellion of 1715, and headquarters of General Wade's campaign to pacify the Highlands. Today Fort Augustus is a busy little place; full of monster-hunting tourists and boats using the flight of five locks to enter or leave Loch Ness on their journey along the Caledonian Canal. Orkney's capital is built around a wide sheltered bay and is the main departure point for ferries to the northern islands. 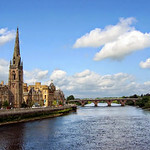 The Highlands' largest town and enjoying a real renaissance over the past ten years as young professionals have moved to the city. The gateway to the far north and a fun night out if you stay. Small Highland tour that is a frequent stopping place for coaches travelling along the A9. Somewhat a one road town of shops and cafes. 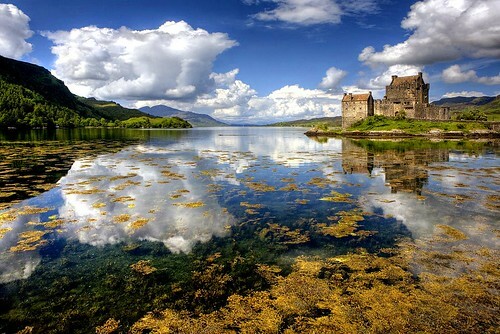 One of the world's quintessential castles: Eilean Donan is familiar from films and stunning in its romantic location. Open daily.